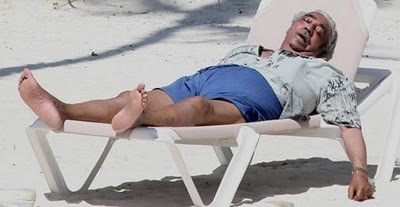 America’s Most Corrupt Congressman- Charlie Rangel is a Disgusting Racist! There is no other way to describe it, Rep Charlie Rangel is a disgusting racist! Today the Congressman who has spent the bulk of his career enriching himself off the public dole was interviewed by the Daily Beast and spewed some hateful comments. He likened republicans to terrorists and the teaparty to those who fought against the civil rights movement. 333-79 (that might have been the last bi-partisan vote in the House). I find his claims of Tea Party racism to be particularly repulsive. Having been at many tea party events I have NEVER seen a racial incident at an event I attended. In all of the tea party events viewed remotely, or seen on you tube, the only racist incident I have seen is when the SEIU was sent to a St. Louis tea party event by Kathleen Sibelius, and one of the union thugs beat up an African-American tea partier. 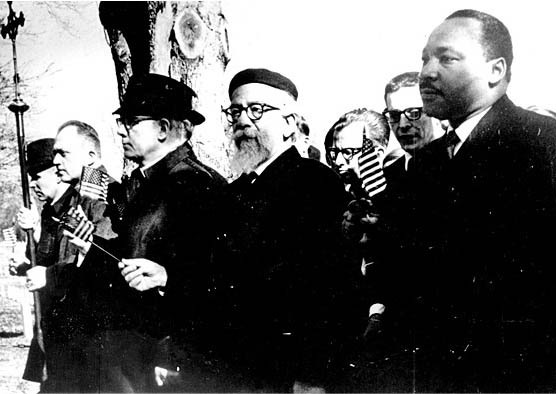 Heschel, a Polish immigrant, scion of a long line of Chasidic rabbis, Professor of Jewish Ethics and Mysticism at the Jewish Theological Seminary of America and King, an American descendant of slaves, a compassionate protector of the oppressed, charismatic orator, writer and theologian, marched side-by- side from Selma to Montgomery to protest the pernicious racism that poisoned America and humiliated its African-American citizens. As a Jewish Teapartier it is my contention that the tea party movement is the natural extension of the Civil Rights movement–a public uprising to fight for the freedoms guaranteed by the constitution. In its purest form, that’s the description of the Tea Party.